Maryland officials aiming to preliminarily approve medical marijuana grower and distributor licenses by mid January appear to have been way off in their time estimates. The state received almost 900 applications before the November 6th deadline, which apparently far exceeded their expectations. These low expectations were in spite of constant media buzz around the budding program, and jam-packed commission meetings that often had to be moved to larger venues. To be fair, it wasn’t only the members of the Medical Cannabis Commission who were surprised by the torrent of applications; many of the applicants themselves as well as industry insiders expected a lower turnout in part due to the cost and the complexity of the applications. State officials agreed on a $2,000 price tag to simply file grower applications, which were a minimum of 50 pages in length and extremely tedious. But the lure of massive profits seemed to good to pass up for the 102 interested growers and the 780 prospective distributors that paid around $1 million in licensing fees. As it now stands there is no estimate on when the licenses will be awarded, and therefore the day when we will actually see functioning medical marijuana in Maryland has yet again been pushed back. This newest delay will certainly affect patients who have continually been let down by the snail’s pace of the program. Thousands of Marylanders are currently suffering from debilitating diseases that marijuana could unquestionably mitigate or treat. These patients are either forced to live in pain, taking highly addictive narcotics, or risking criminal punishment for buying or growing their own marijuana. None of these options is acceptable in light of the available information we have about the benefits of pot. In addition to the suffering patients, the medical cannabis investors also stand to feel the negative affects of further delays. Most of the investors have already secured real estate for their prospective operations and are either paying rent or taxes on their non-revenue generating property. The applications were very clear in their preference for growers who were ready to begin production at the drop of a hat. This not only meant selecting space, but developing precise plans for security, inventory, climate control, delivery, and disposal. Granted, all of the investors have assumed some sort of risk for the simple fact that their opportunity to profit was far from guaranteed. But those who are not selected would surely like to cut their losses and invest elsewhere rather than wait months for an answer from the commission. The Blog will continue to follow any new developments with respect to the medical marijuana program and in general with all things regarding controlled substances and the law. As regular readers are well aware the progress of Maryland marijuana laws has always been a subject of particular interest. We have already witnessed reduced criminal punishments transition to decriminalization, and we will be there when the first medical dispensaries hopefully transition to retail stores. Benjamin Herbst and The Herbst Firm represent defendants charged with all criminal offenses including manufacturing marijuana and possession with intent to deliver. Contact us at 410-207-2798 for a free consultation about your case anytime. 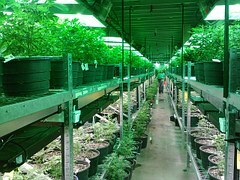 Booming interest in marijuana licenses is expected to delay medical program, baltimoresun.com.